Green Tea by Elizabeth Arden is an uplifting fragrance that will make you feel invigorated. Its light scents of citrus and peppermint will energize you and keep you feeling clean and fresh all day. 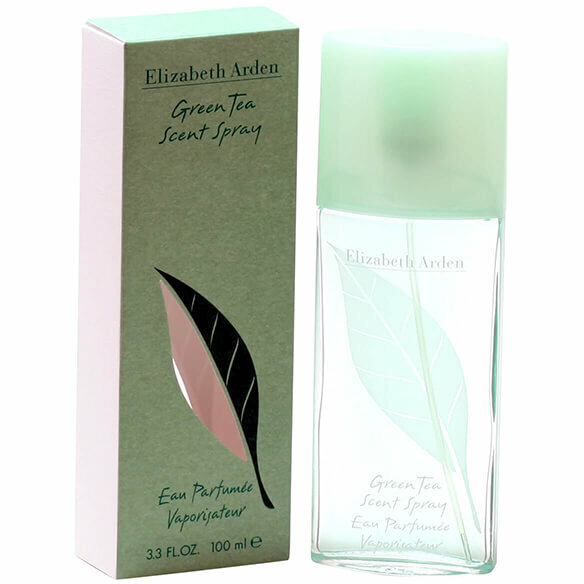 Elizabeth Arden's Green Tea perfume features top notes of Lemon, Orange, Bergamot and Peppermint, middle notes of Jasmine, Rhubarb, Carnation, Celery Seeds and base notes of Amber, Musk and Oakmoss. An EDP spray. 3.3 fl. oz. No express shipping. No shipping to PO boxes. WONDERFUL scent.Love it! Good price! Love the smell of Green Tea. Brand I was using is no longer available..Elizabeth Arden is an established brand and her line of fragrances are good.